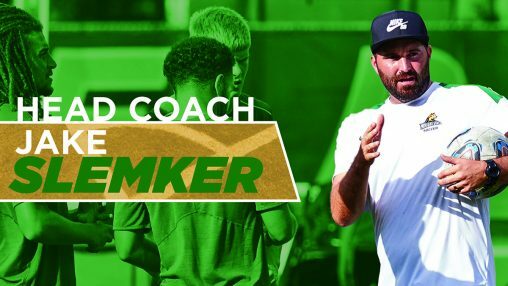 Jake Slemker, former Raider player and current associate head coach and recruiting coordinator, has been named the head coach of the Wright State men’s soccer program. Former head coach Bryan Davis has resigned to pursue opportunities outside of coaching. After joining the staff eight years ago, Slemker was promoted to associate head coach in 2016. During his time on the staff, the Raiders have risen to new levels of excellence, advancing to four Horizon League finals, posting four double-digit winning seasons and recruiting two national top 40 classes. The Raiders have seen great success in recent years, including the 2016 Horizon League regular-season championship, three conference Players of the Year, a Defensive Player of the Year, a Freshman Player of the Year, 14 First-Team Members and three drafted by MLS teams. The Raiders also succeeded in the classroom, with players posting seven consecutive years with a cumulative grade point average of 3.0 or better. A native of Englewood, Slemker played for the Raiders from 2003 to 2006 and was a four-year starter in the backfield. He graduated from Wright State in 2007 with a bachelor’s degree in criminal justice and earned a master’s degree in applied behavioral science in 2012. “I’m excited to continue to give back to this program and take these players to the next level on and off the field,” he said. Following his playing career at Wright State, Slemker played professionally with the Dayton Dutch Lions, Arizona Sahuaros, Cincinnati Kings, Albany Admirals and Cleveland Internationals. He returned to the Wright State staff in 2010 after a two-year stint as an assistant coach at Scottsdale Community College in Arizona. He is currently coaching with Club Ohio, following stints with Ohio Galaxies and Celtics Clubs. Slemker has served as an instructor for many camps across the country, including leading the Wright State Camp. Slemker and his wife, Kristina, are expecting their first child this fall.